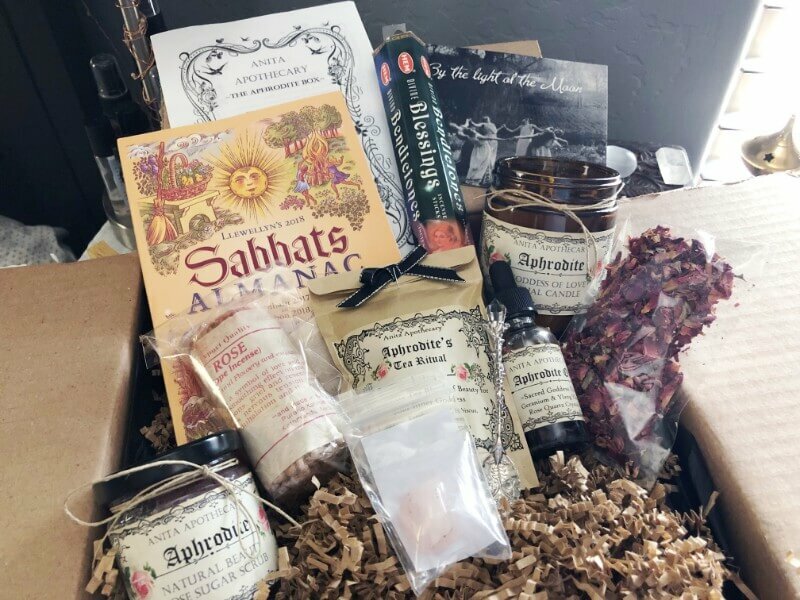 I am SO excited for this new witchy subscription box by Anita Apothecary that just started this month. (Update: they are currently moving from Cratejoy to their Etsy shop, so I’ll update this post as soon as the box is available again in their shop). I first found Anita Apothecary a few months ago. 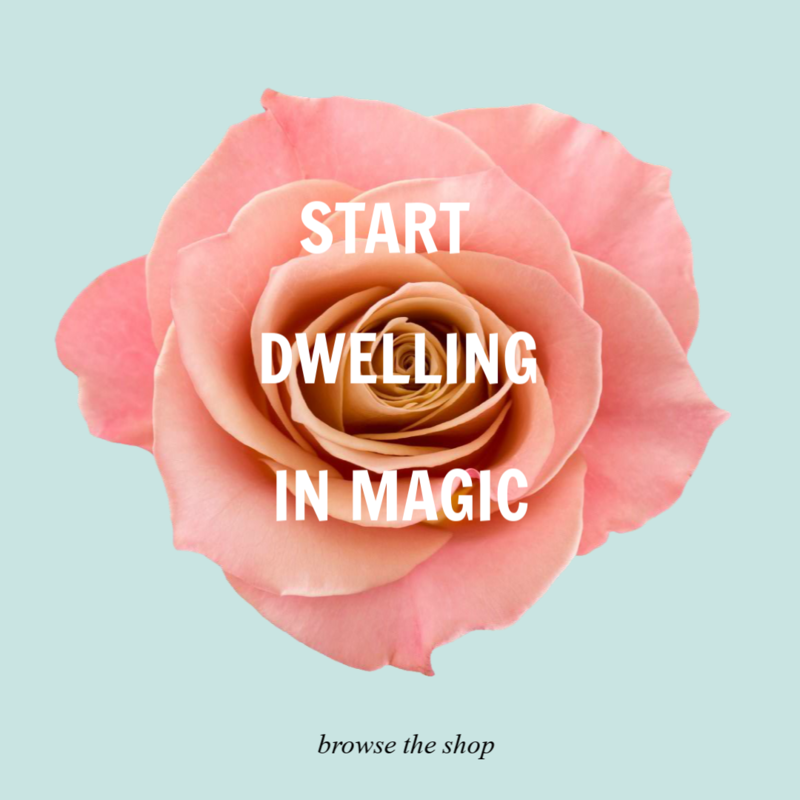 They have the most magickal Etsy shop and I purchased a few items, including the Empath Spray that you might’ve seen me share a few times in my self-care routine on my Insta stories (which I don’t go a day without using). Everything I bought had such a magical and loving touch to them, so I was beyond excited when the shop announced it was starting a subscription box service. 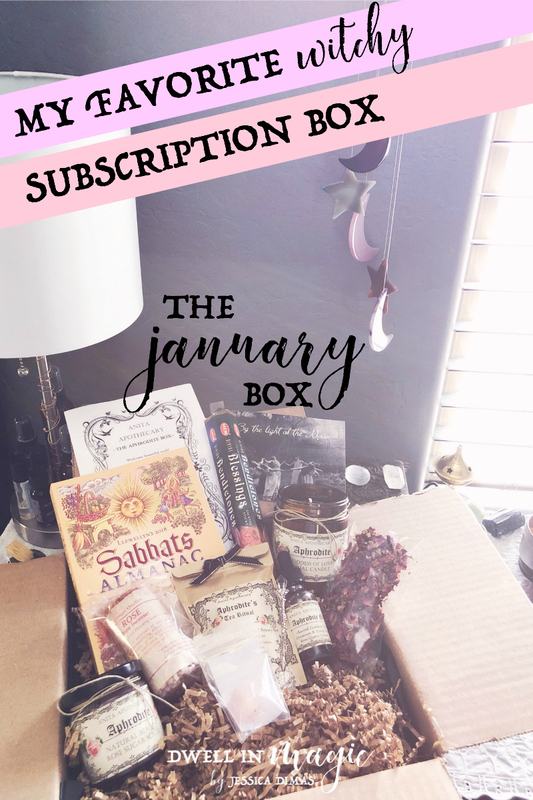 There are a lot of spiritual and witchy subscription boxes out there that just lack in quality and this one is not one of them. I think I said “OMG” about twenty times while opening this box because I was so impressed. So without further adieu, let me show you what was in this month’s box. By the way, this box isn’t mass-produced; it’s made by Marie, a beautiful witchy woman and mother from the PNW. Her shop is named after her daughter Anita, so this box is truly made with small business love. Currently she’s only taking 50 subscribers a month so definitely check this one out and sign up quick if you want to try it out! Like stoppp…how beautiful is this candle? If I could describe how divine it smells, I would. 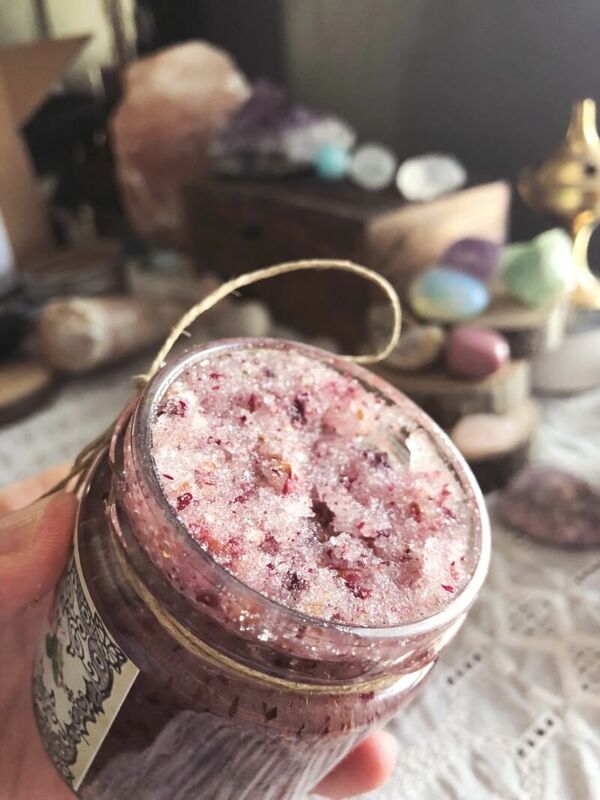 I’m in love with what she put in the top of the candle; I immediately saw rose petals, crystals, and adorned with glitter. It definitely has the very feminine smell of rose. 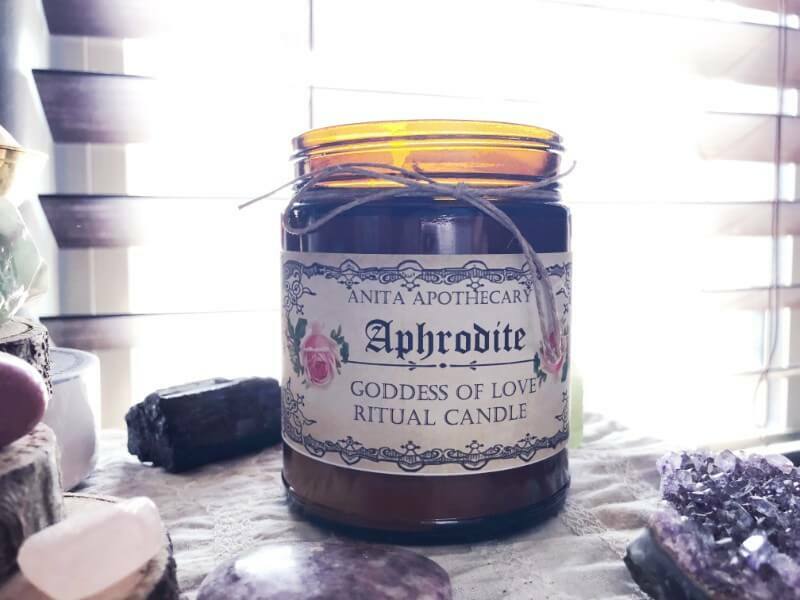 I will be using this candle during my moon and sacred self-care rituals, especially the ones where I’m focusing on self-love and the Divine Feminine. I have had my eye on one of these spoons that I saw in her shop when I first stumbled across it on Etsy! It’s frequently sold out. 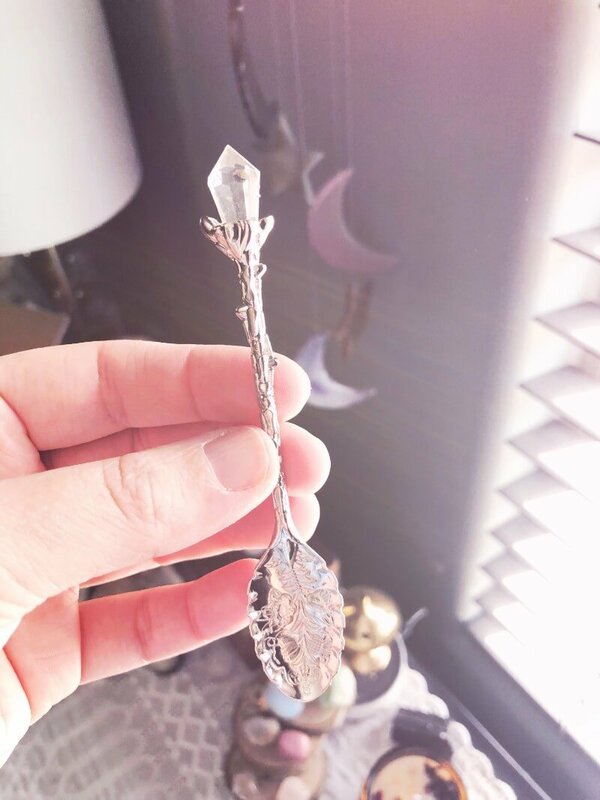 How beautiful is this witchy tea spoon? I actually would like to start drinking herbal tea; it’s a goal for me this year since I want to see what all the fuss is about. 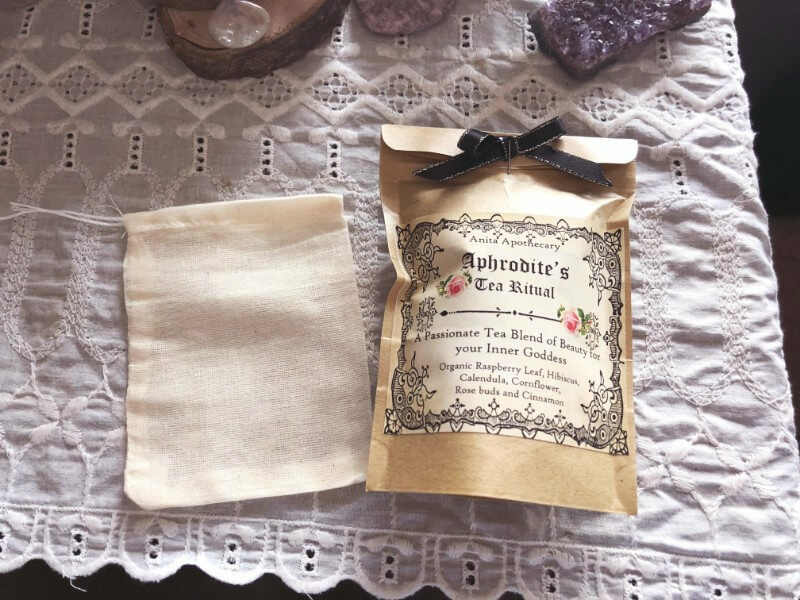 I may not give this tea to my mom like I normally do–it’s packaged so pretty with roses on it (and my middle name is Rose!) and it smells so good. Plus Red Raspberry leaf is so, so good for you. 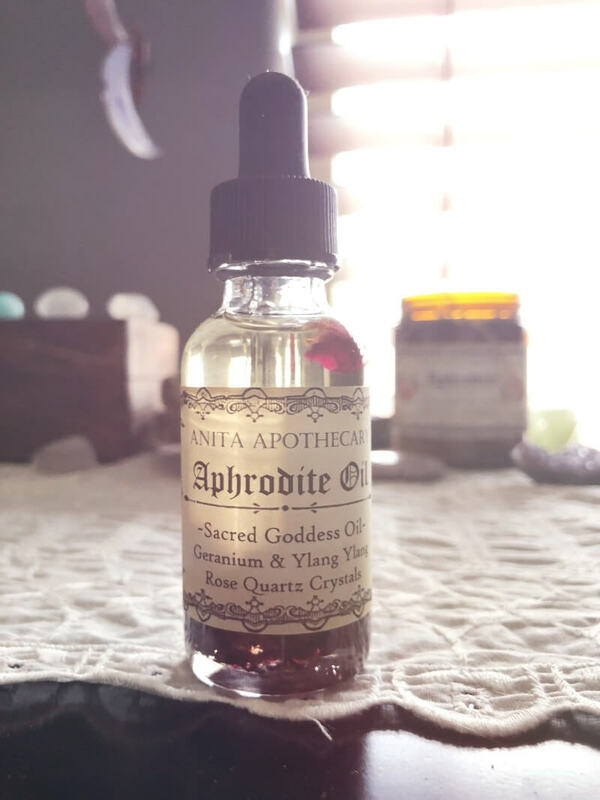 Do you see what I mean when I say I love Anita Apothecary products because they’re made with such quality and magic? 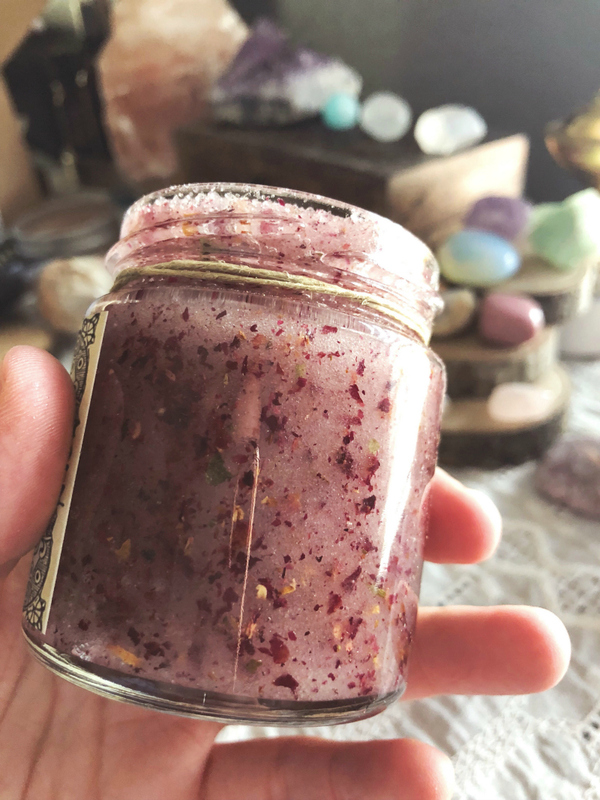 I cannot WAIT to use this scrub during a New or Full Moon bath, or any other time I’m wanting to just feel loved, beautiful and romantic. This totally conjures the energy that is Aphrodite. 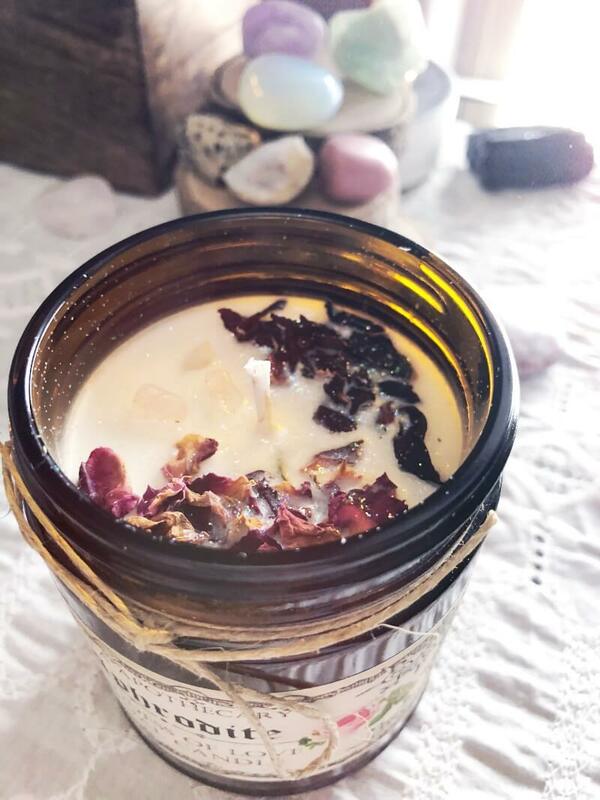 Update: I used this during my New Moon ritual bath and wow…it left my skin feeling so soft and it smelled SO divine. Hell to the yes, I love incense and burn it every day. All the scents in the box smelled very feminine to me, these included. I’ll definitely be trying them during either my morning or evening self-care time. 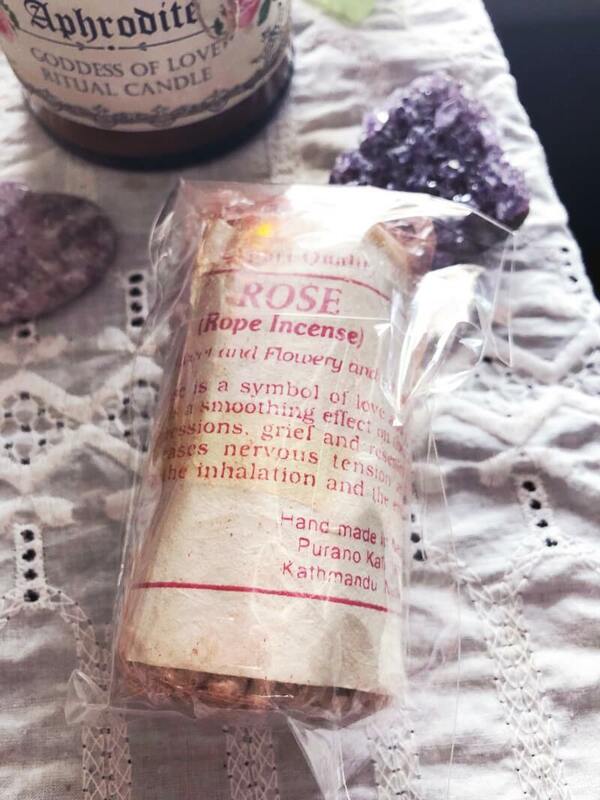 I have never seen incense like this, but I’m super excited to try it! It smells REALLY good and very authentic. Again, stop…I can’t handle the beauty and magic in these handmade products. How perfect would everything in this box be for a self-love ritual? They just inspire love, feminine energy and passion. 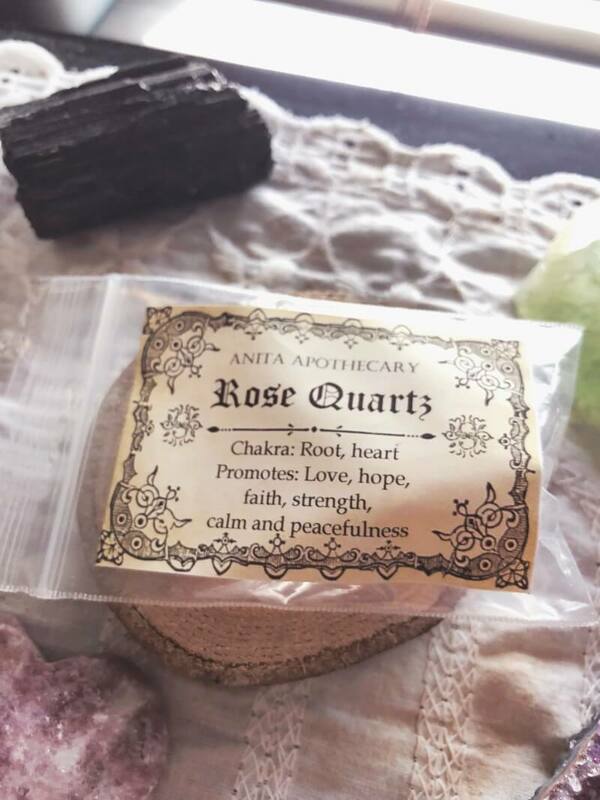 Rose quartz is one of my absolute favorite crystals because of the energy of love and calm it carries. 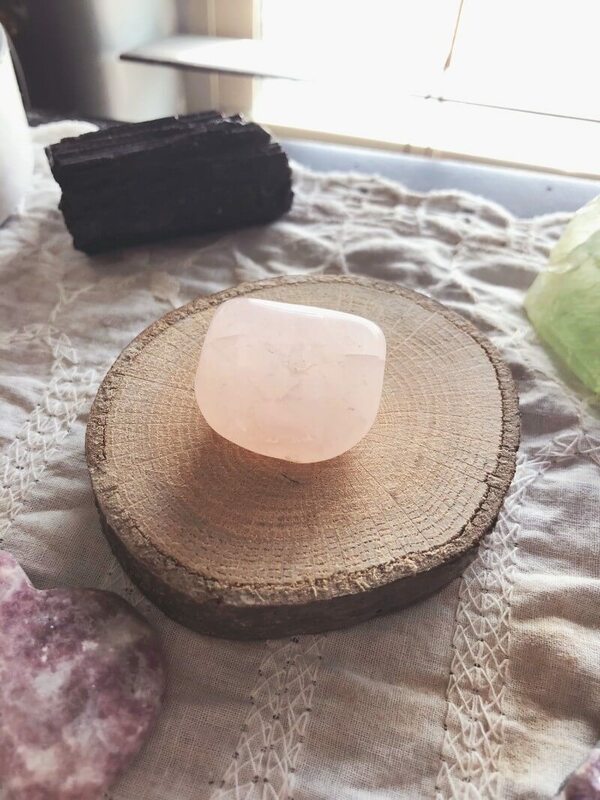 I set the intention for self-love into one of my rose quartz and I carry it around with me. Or after a long day, sometimes I will just lay rose quartz over my heart to help soothe and calm me. I was sooooo excited for this book! It’s really nice sized and totally something I’ve been wanting to get! 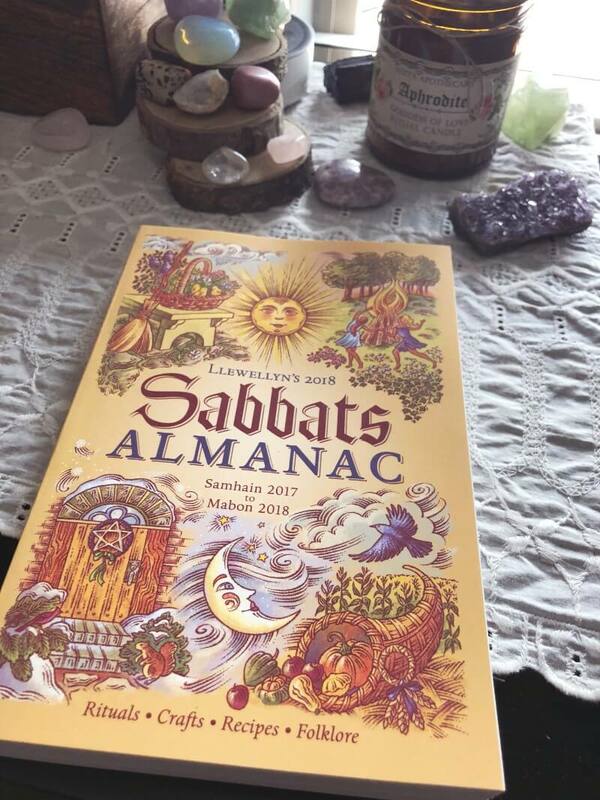 It’s got rituals, crafts, recipes and folklore for all the Sabbats of the year, starting with Samhain. I definitely did some booty-pop twerking when I saw this book. She didn’t put a price value on these but I know when I’ve purchased them at the store, they range from $3-$5. I love to use rose petals in my bath. You could mix them in pink himalayan salts and add some essential oils to create a salt bath mixture. These will definitely be getting used! 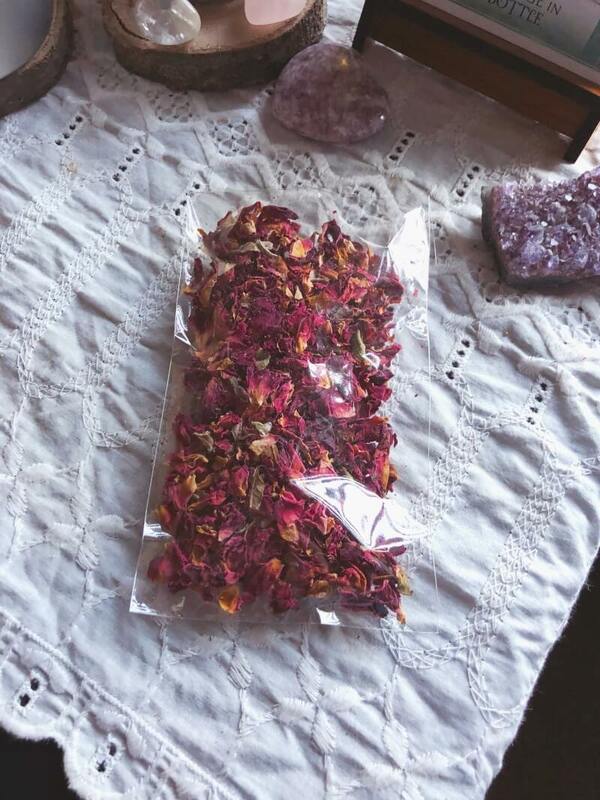 Her card says: “Place these rose petals in your next bath, put in your tea, or use however you wish. So that was everything we received in Anita Apothecary January box! I felt like this box was so thoughtfully curated and put together. The total retail value was $77.44 but I feel like it was so much more than that. 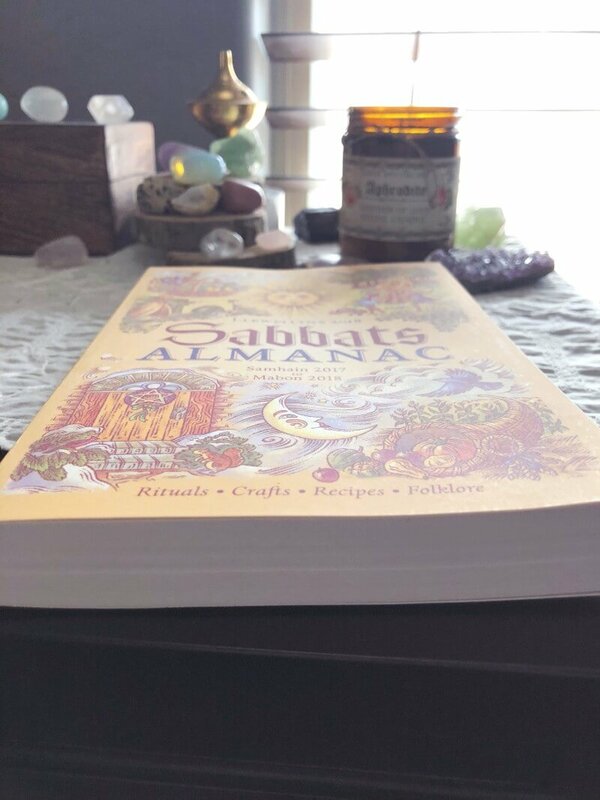 This was truly a box of magic delivered to my doorstep, and I already foresee many beautiful self-love rituals being done with what came in this box. 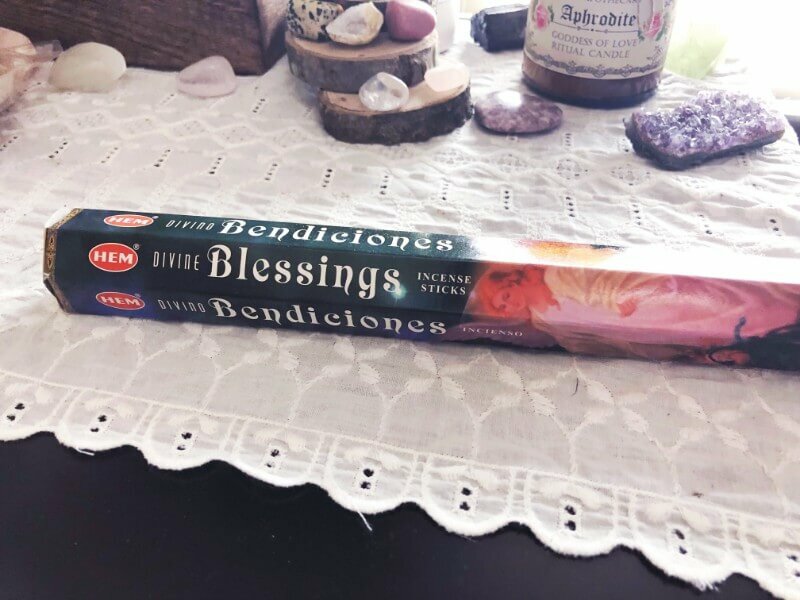 I feel so inspired to connect with the Divine, and that’s exactly what a good spiritual subscription box does! 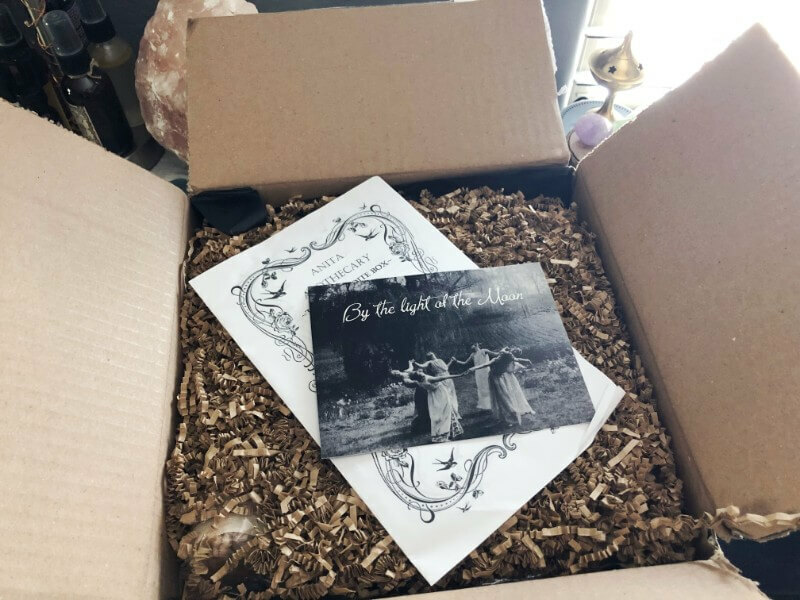 The back of the card said that future themes will be The Moon Goddess Box | The Gypsy Magick Box | Witches Protection Box | The Divination Box | Mercury Retrograde Box | and the Sea Magick Box. Like stop, for real, I can’t handle any of this. 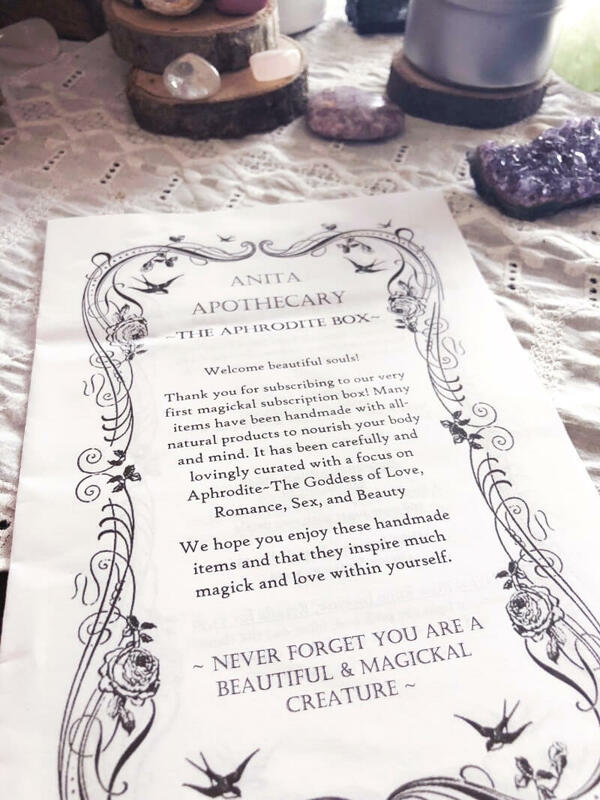 I’m just so, so excited for this box and I’m so happy Anita Apothecary is offering this option now. 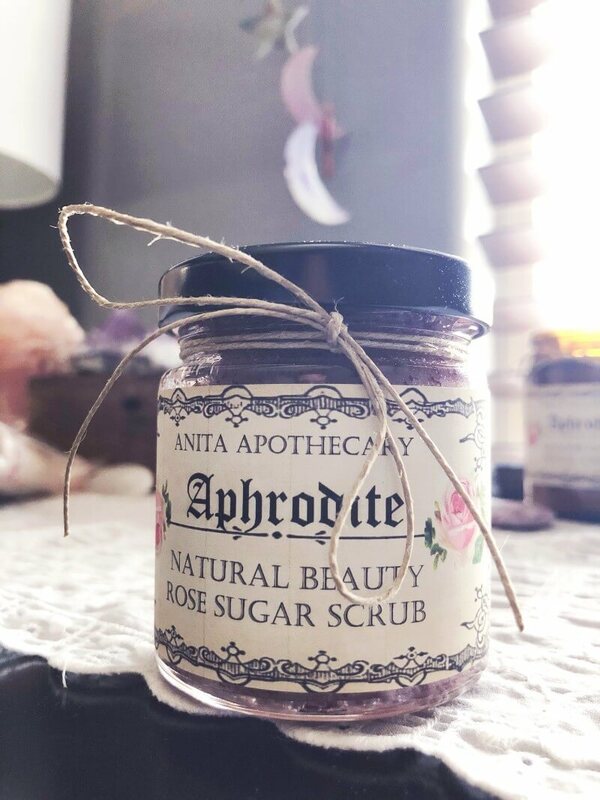 You can find Anita Apothecary on Etsy, on Instagram, and on Facebook. 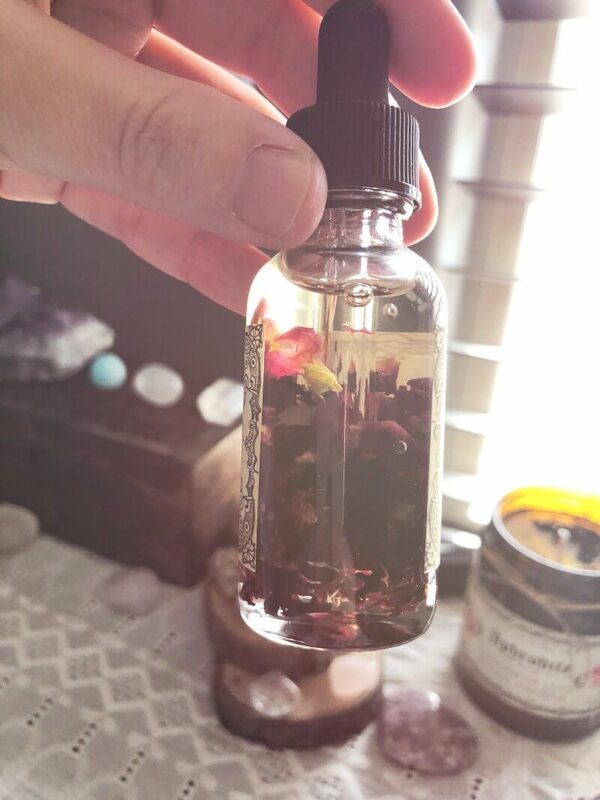 I hope you enjoyed this post; do you subscribe to any witchy/spiritual boxes and if so, which ones are your favorite?